Victory in tactical combat always leans towards the side that has superior firepower and initiative. During this damn summer morning, the Germans have neither. The mission was to stop a Soviet tank regiment (-) from reaching Hameln. The enemy force expected was of around 70 tanks supported by BRDMs. Own troops were a company of Leopard 2A4s and a company of panzergrenadiers (Marder 1A3s). The area of operations east of Hameln is a semi-restrictive mix of streams and rolling hills dominated by two prominent ridges laying in a south north direction. On the far side of the area of operations, a 4 Km wide (average) valley centered in Hemmendorf is the likely LD of the Soviet forces. There are two possible axis of advance from Hemmendorf: (i) moving north, up the valley and pivoting west at Coppenbrugge and (ii) crossing the ridge via route L425. Whatever route the enemy was to use to move out from Hemmendorf, a 3 Km wide valley running north from Bisperode was the next stop. From there an additional ridge separates the enemy from Hameln. This ridge could be crossed at three points: (i) at the very north edge of the area of operations near Herkensen, (ii) at the middle of the area of operations near Behrensen and (iii) at the south of the area of operations, via L16 near Voremberg. There is an additional crossing point in the southern extreme of the area of operations (route L425), but this route would force the enemy to pivot north into yet another ridge which appears to be non passable. The enemy's main effort couldn't be determined before the establishment of observation posts, so a decision was made to concentrate most of the firepower available in a delaying action onto the enemy advancing through Coppenbrugge. A Company (Pz), delay enemy forces advancing through Coppenbrugge from battle position 1 (BP1). 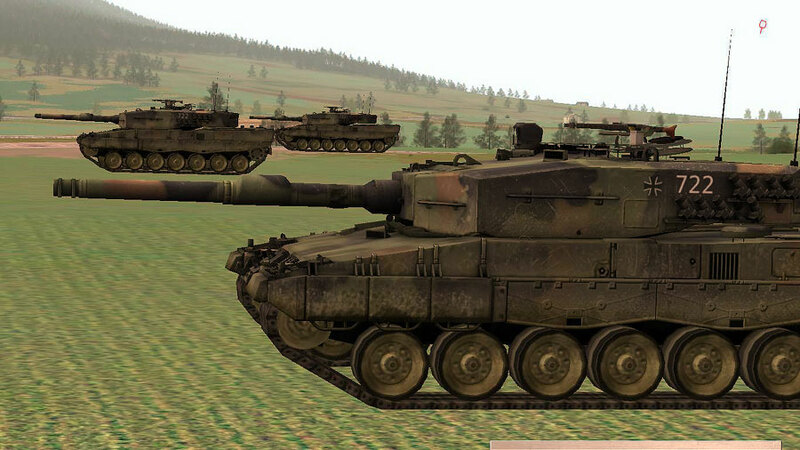 On order, fall back through PL Mohawk in order to establish a battle position 2 (BP2) in Rohrsen. Refit and ready up for offensive actions against enemy formations crossing PL Mohawk. Very nice write-up of the the FRAGO, spasiba ! I do have a question though: if one of your Tasks is to prevent ~60% of the enemy tanks from crossing PL Walden aren't you starting off a little short on room for maneuver? I'm guessing you are by your tactical plan and you have simply chosen to ignore that task? Wonder also how the scenario plays out in NGP 85. Comparable or what ? NB mission is uploaded now at steelbeasts.com. We need to discuss this one once I finish up the AAR. Kinda of what went wrong and why. James, I am very short of tanks in this scenario. It can be argued that I gave up too much room to the enemy from the beginning. We are going to discuss that in a later post.